О, мой Бог! Это не опасно? 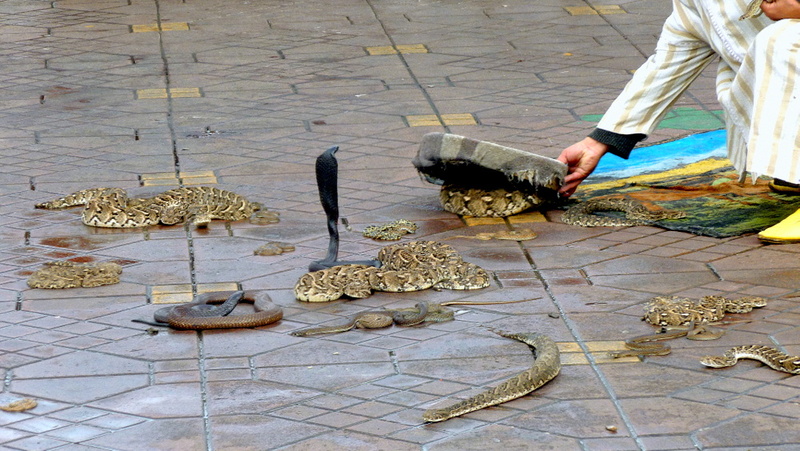 For these "snake charmers" is not dangerous.... but for us.... YES!!!!! It's very, very dangerous!!! These snakes are very poisonous!!!! Well, Luba this is a way of life!!! Great moment captured, my friend! Jose, as terribly! They after all can crawl away or jump on person! Thank you so much, Olga!!! Frightening show to watch! Great capture, my friend.